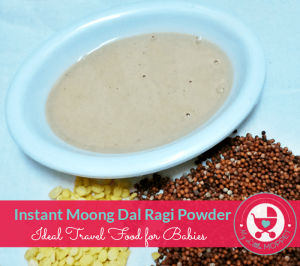 You’re probably feeding your baby ragi porridge every day and wondering why he’s turning up his nose at it. You forget that babies are little people too, and they get bored!!  So unless you want a lifetime of ‘nose-turning’, let your munchkin get used to different tastes. If you’re wondering if it’s possible to have a lot of variety for something like porridge, let’s assure you, it is!! 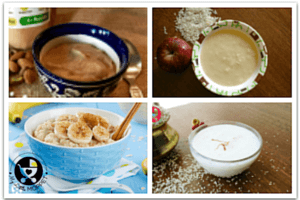 One of our most popular posts is the one on 15 Instant porridge recipes and you can use this as a starting point when creating a meal plan for your baby. 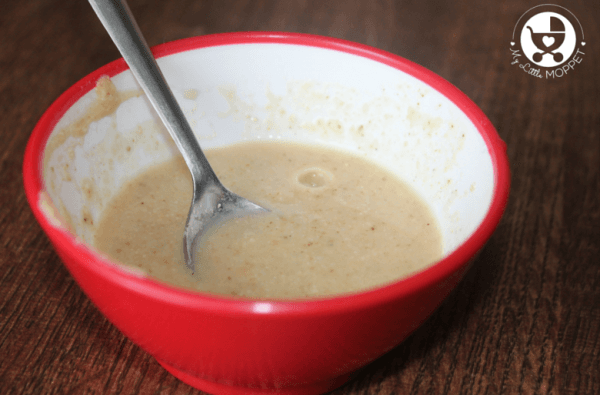 Today’s recipe is the latest addition to our porridge series, and this time we have answered many Moms’ requests for a dalia recipe. 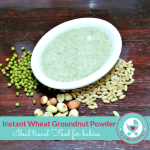 The result – Instant Elaichi Wheat Dalia Porridge Powder! Please note that this porridge is a little lumpy, so it is better suited to babies above 8 months of age. 1. Dry roast the ingredients separately. 2. Grind all the roasted ingredients together, to a powder. 3. Store in an airtght box. It will last for 1 month under clean and dry storage conditions. 1. 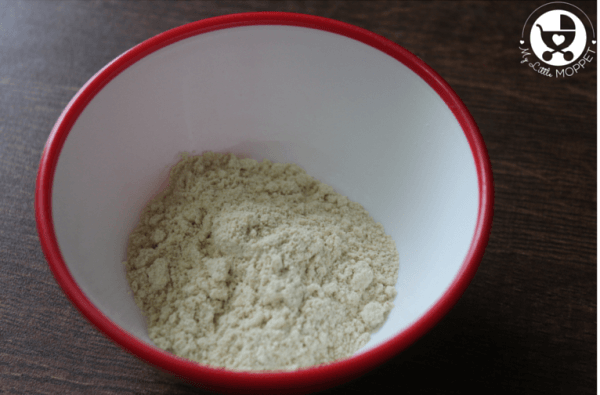 Take approximately 4 tbsp of the porridge powder mix in a heat proof bowl. 2. Add 100 ml of hot boiled water and stir well to get a thick consistency. 3. Add a teaspoon of oil or ghee to increase the energy content. When cool, feed the porridge to your baby with a spoon. 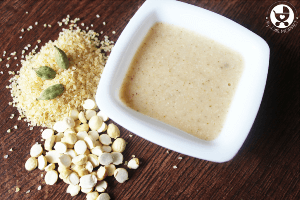 This instant porridge can also be fed to the child after reconstituting with dal, water, gravy, milk etc. Take up the nutritional quotient by adding mashed fruit like banana, chikoo, papaya or mango. See, there are so many ways to make a plain old porridge interesting!! 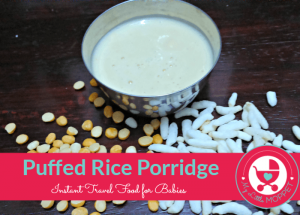 Babies get tired of same old porridge every day; they want variety too! 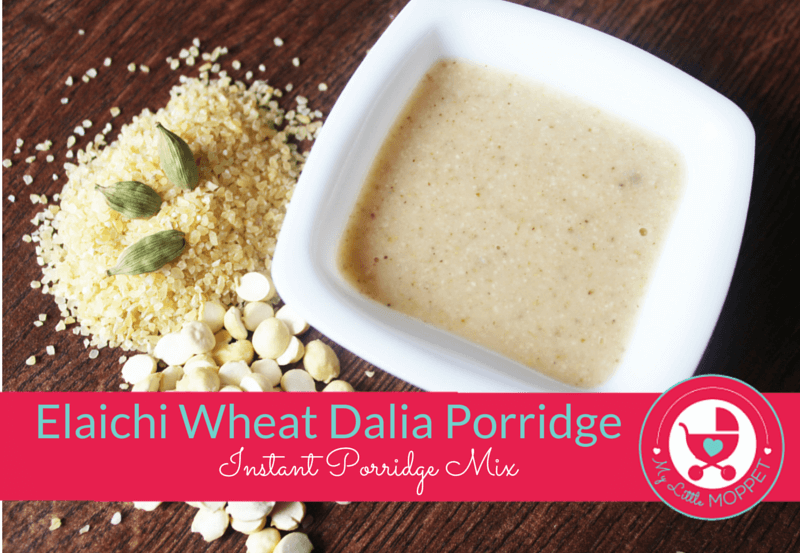 Make mealtimes interesting with this instant elaichi wheat dalia porridge recipe. Dry roast the ingredients separately. Grind all the roasted ingredients together, to a powder. Store in an airtght box. It will last for 1 month under clean and dry storage conditions. 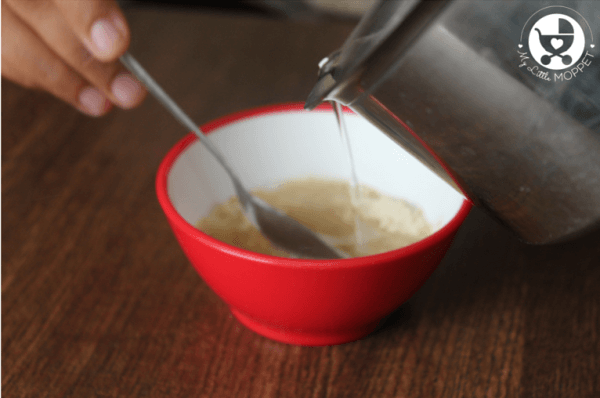 To make the porridge, take 4 tbsp of the porridge powder mix in a heat proof bowl. Add 100 ml of hot boiled water and stir well to get a thick consistency. Add a teaspoon of oil or ghee to increase the energy content. 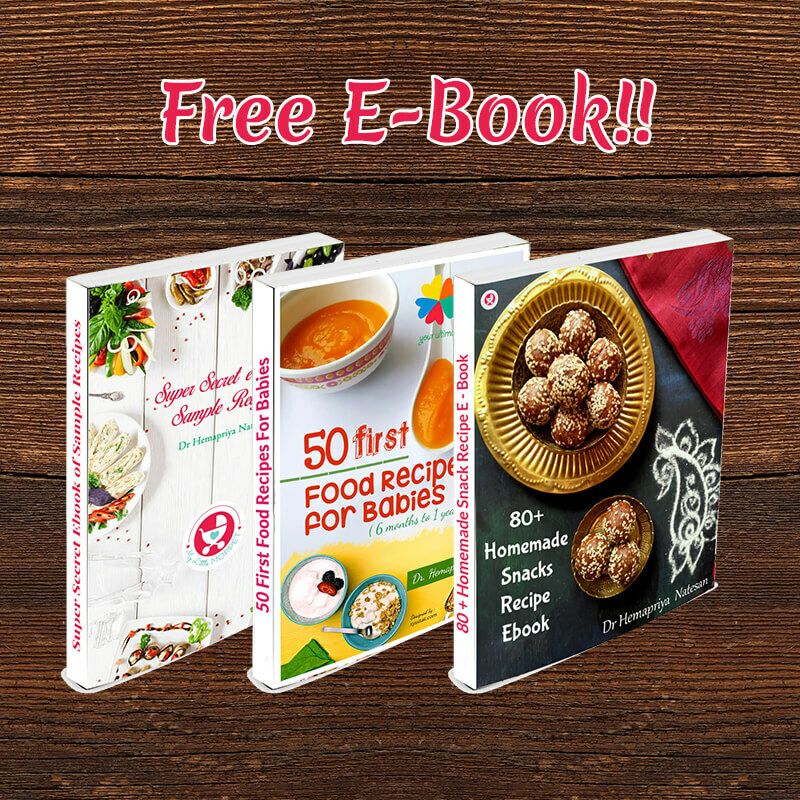 Thank you very much for all the recipes and the suggestions. It is very easy, healthy, helpful and informative. 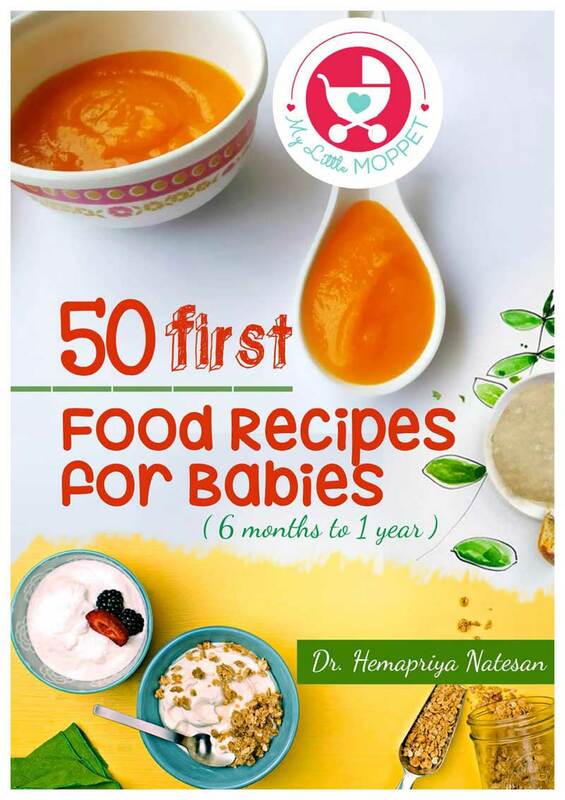 Keep this going and I appreciate your value for the traditional recipes and foods for babies. Thanks for your appreciation 🙂 This means a lot to us. Can I add moong daal or toor daal?? You can add either of them. Perhaps start with the one which your family eats more. I’m traveling with my 1yr old it’s a last minute plan so couldn’t order instant porridges from ur store. Please let me know as all ur recipes say roast gram, roast wheat dalia.. is tawa roasting sufficient n how to know whether wheat is fully roasted. May I know whether this wheat Dalia can be substituted with cerlac wheat apple cherry for 7 month boy. 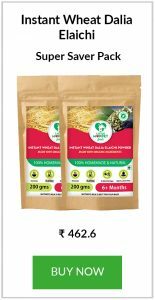 Type of wheat to be use method of preparing it. 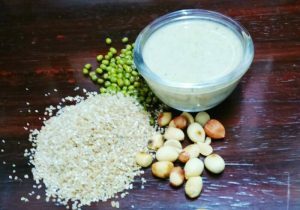 My child is 2yrs old..I tried one of the instant porridge like instant Poha n groundnut porridge..he didn’t liked it and I also tried instant kichdi mix..he didn’t ate as it is like half cooked taste..please suggest me the tastier n easiest recipes with hot water in flask.. Instead of fried gram can i use something else?? 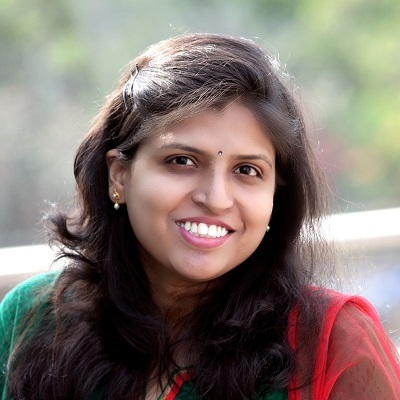 Hi Dr.Hema. my lil 9 month old. Not gaining weight. I wanted to know whether the seeds should be discarded or the skin. 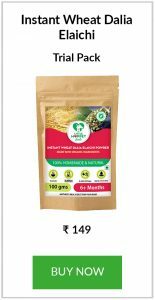 Also as the quantity is less will it be powdered properly?